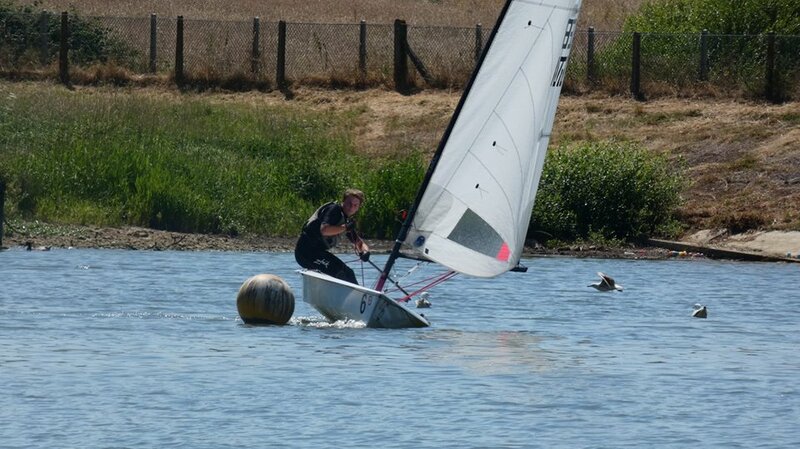 Sutton Bingham Sailing Club gave a lovely warm welcome - literally, to 17 RS Aeros from across the south of England from as far afield as Whitstable and Falmouth. Glorious sunshine and a light to medium breeze greeted the sailors and it was looking like a fantastic day to be out on the water. With the briefing completed and the boats rigged all was set for the action to begin just after 11 o’clock. 5 races were schedules with the RS Aero 9 rigs starting first, followed by the RS Aero 7 rigs. The fleets were well behaved, with clean starts throughout the day, so no recalls or black flags were required. The first 2 races were very shifty and kept everyone on their toes! 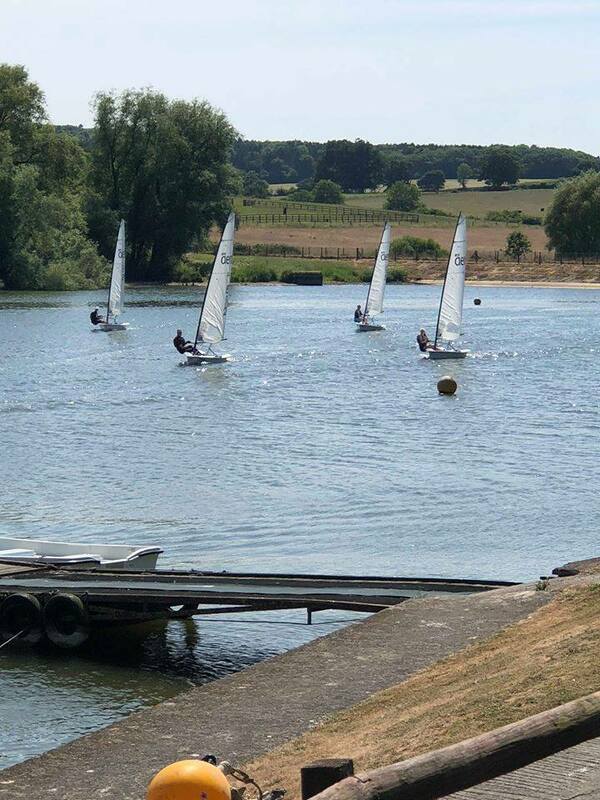 Charlie Sansom and Chris Hatton, both from Bowmoor SC flew around the course with a 1st and 2nd in both races before lunch. 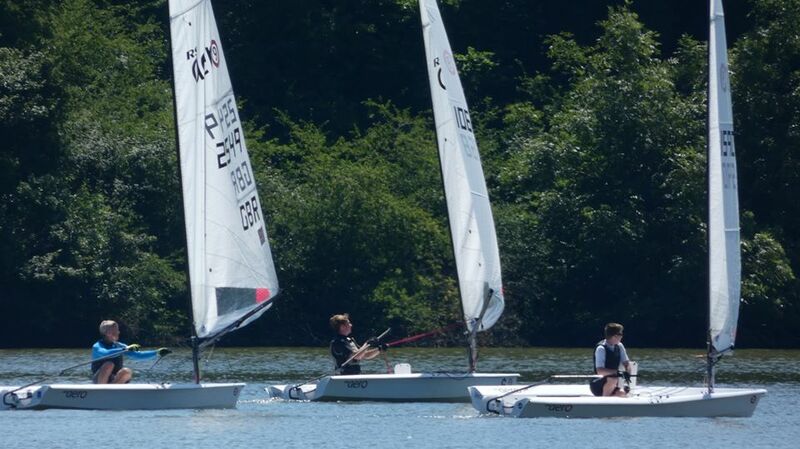 Meanwhile in the 7 fleet Andrew Frost from Sutton Bingham and Noah Rees From Torpoint Mosquito SC battled it out in the first two races. With 3 more races after lunch it was definitely all to play! A course change and a change of wind direction made for an interesting afternoon. It felt as if the reservoir had split in two halves! There was a lovely 10 knots at the windward mark and then 5 knots at the leeward mark making it a challenge for everyone. With the first start underway, it was a maze to find the best way up and down the lake. Sansom and Hatton in the 9 rigs held on to their 1st and 2nd positions for the rest of the afternoon with Peter Barton hot on their heels! In the 7 rigs, Frost and Rees were all square on points going into the final race and it was local knowledge that helped Frost prevail to take the win. Behind the leaders it was a hard fought battle for third place with close racing between Chris Jones, Sam Isaacs-Johnson and and Catie Atkin. Isaacs-Johnson finished on a high with a 2nd in the final race but it was Jones with two good early results that clinched 3rd overall. It was an interesting day, with sweltering temperatures, beautiful sunshine and very pleasant all round. 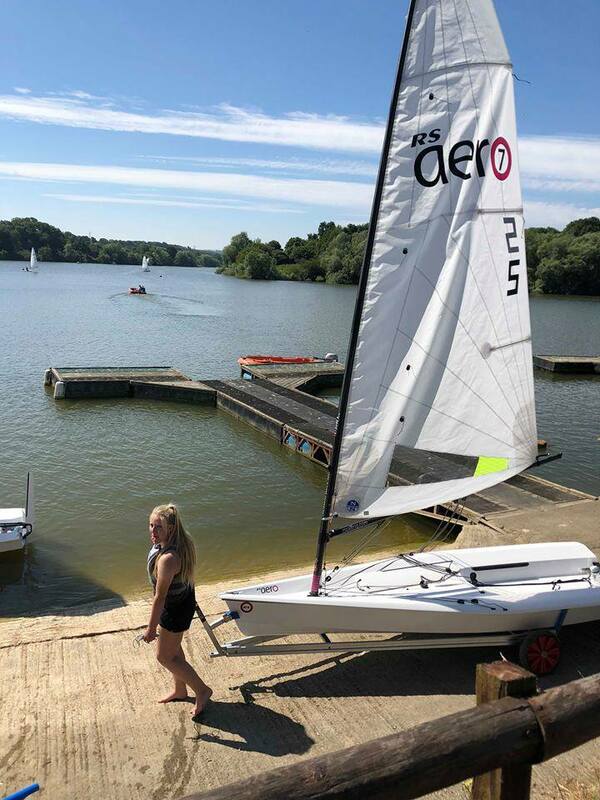 A special well done to our first time RS Aero sailors James Harcourt and Kelsey Green who sailed boats chartered from RS Sailing and thoroughly enjoyed their experience. We hope to see you out in Aero’s again soon! At the prizegiving Coast Water Sports were thanked for their generous sponsorship of the event, the team at Sutton Bingham for organising the event; with special thanks to Race Officer David Thomson who did well to set good courses as the wind swung and to all the sailors that turned up to support the event! Coast Water Sports vouchers were awarded the top 3 in each rig, top Youths, Lady and Master in addition to lovely Sutton Bingham glassware. Excitement for the RS Aero World Championships in August was high during the event. This was the last day of the early entry rate and as the overall number accelerated hourly towards an incredible 200 entries the RS Aero 7 fleet alone cracked 100 entries! Being over 80 the RS Aero 7 fleet will be spilt into two flights, racing a qualification and a finals series over the five day Champs. Next up for RS Aeros in southern UK is the Lymington Regatta 7/8th July followed by the Class' first visit to Eastbourne on 21st July.